Hand-painted sign in the front window. 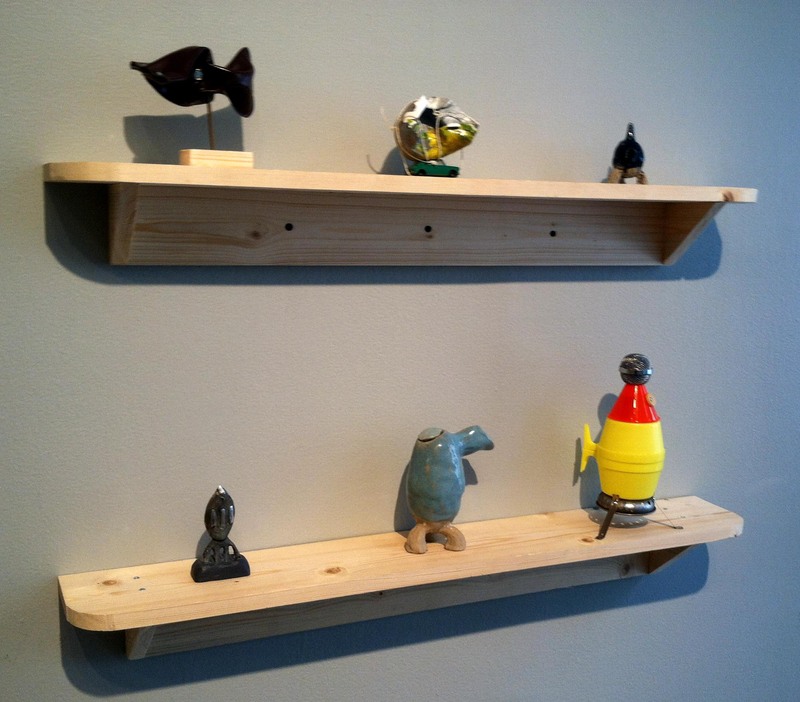 Installation view, The Occasional Market. 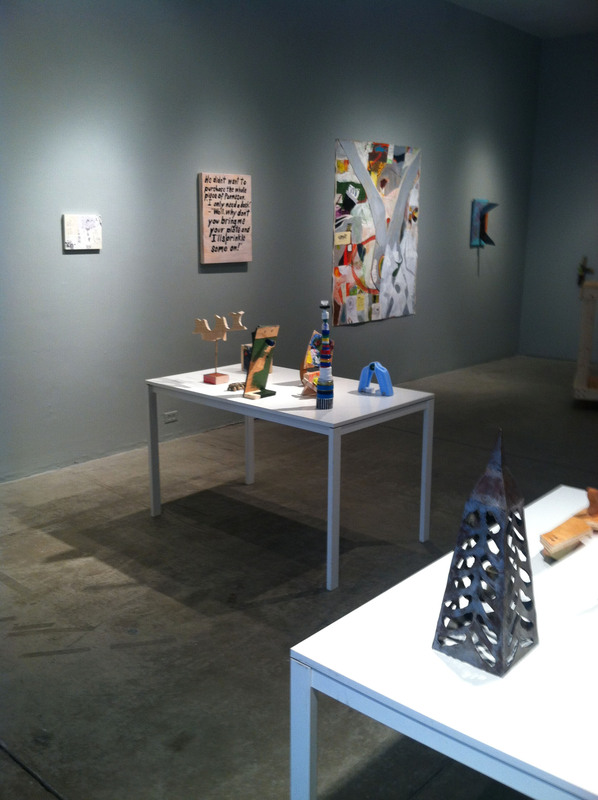 Installation view of The Occasional Market. Top shelf: Catfish (made from eyeglass case), Delivery, Ceramic Spaceship. Bottom: Cast Metal Spaceship, Ceramic Vessel, Assemblage Spaceship. 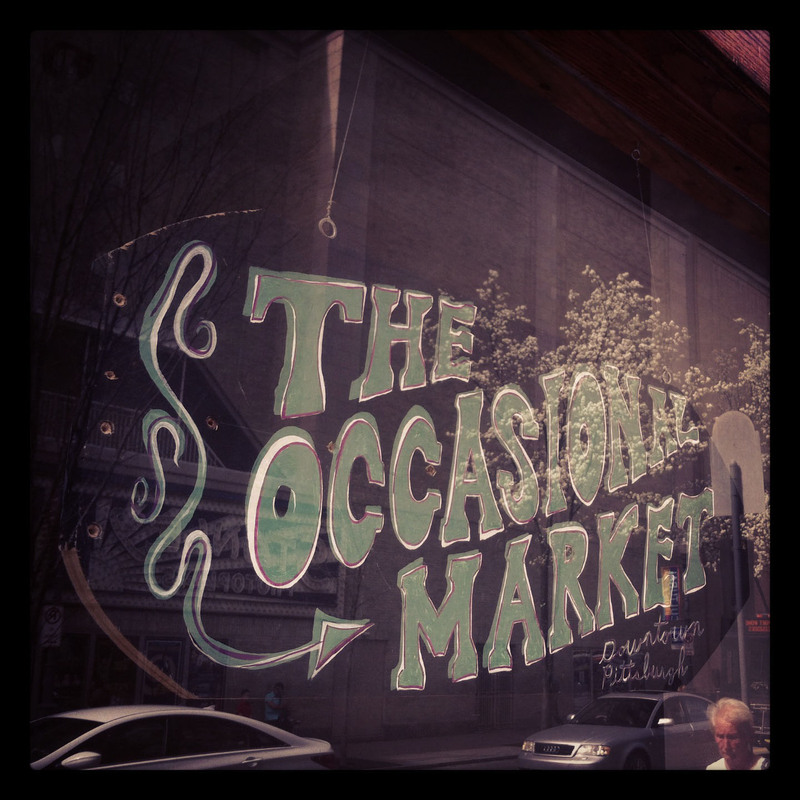 The Occasional Market is set to open this Friday. The gallery is very organized for now, but the show will change as I arrive for occasional performances and other activities. 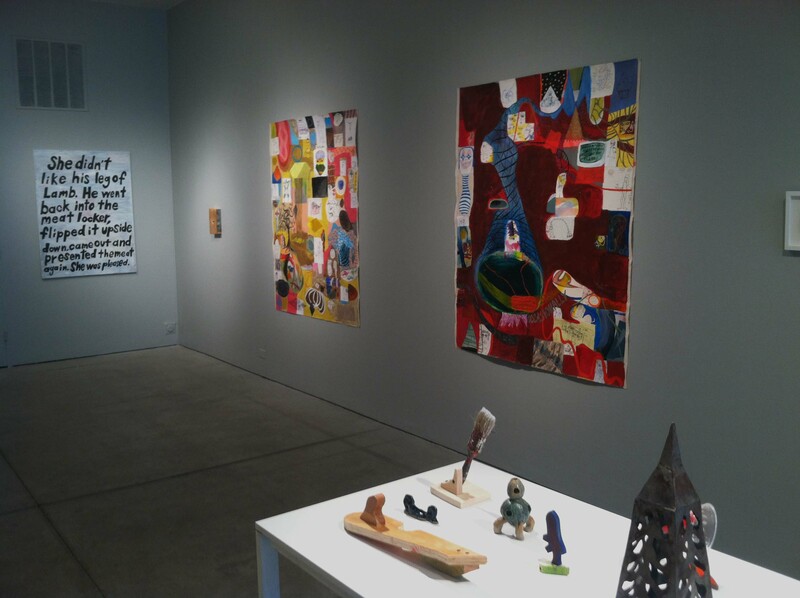 Forty-eight pieces are now on view, including three 4′ x 5′ collage paintings, several pencil drawings, some smaller collage pieces, a wooden cart, three puppets, and small sculptures in metal ceramic and assemblage. too bbe really something which I think I would never understand. next post, I will try to gett thhe hang of it!